A trade group of search directory publishers filed a motion Wednesday asking for a preliminary court injunction against San Francisco’s so-called Yellow Pages law until a federal lawsuit it filed against the city in June is resolved. The three-year pilot program, passed by the Board of Supervisors and signed by Mayor Ed Lee in May, would prohibit distributors of printed commercial telephone directories from leaving the books on doorsteps unless residents or businesses agree in advance or in person to accept them. The New Jersey-based Local Search Association, formerly known as the Yellow Pages Association, filed the lawsuit in June, saying the law would hurt the city’s low-income residents who use the directories, and the small businesses who depend on them for advertising. The suit is slated for a case management hearing in U.S. District Court in San Francisco on Sept. 20. In the meantime, the trade group is asking the federal court to halt implementation of the law until the federal lawsuit is resolved. The program was designed to not be enacted until May 2012 to give the industry time to implement it. The group’s lawsuit is claiming the ordinance violates two federal and state constitutional rights of the publishers: the First Amendment right to free speech and the 14th Amendment right of equal treatment under the law. 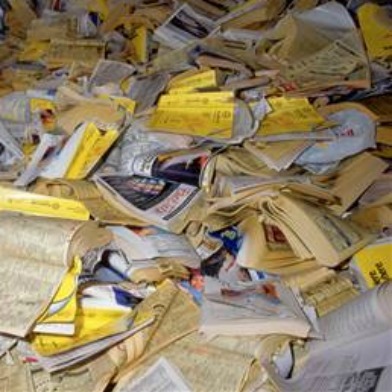 It charges that Yellow Pages publishers are unfairly singled out for the ban while publishers of advertising circulars are not prohibited from distributing their materials. The law, proposed by Board of Supervisors President David Chiu, is intended to cut down on blight and the cost to the city of recycling unwanted phone books.